Part 2 of Cisco's CCNA ICND certification. The Cisco 200-101 CCNA ICND2 (Interconnecting Cisco Network Devices Part 2) training course is the second step in achieving the CCNA Routing and Switching certification. This course focuses on the ability to successfully install, operate and troubleshoot a small to medium-sized enterprise branch network and will enable you to pursue a career as a Network Analyst. This Cisco 200-101 CCNA ICND2 training course is ideally suited to anyone who is looking to break into the IT industry as an entry-level network engineer. It is also valuable for those who are looking to gain certifications that will validate their existing IT experience. 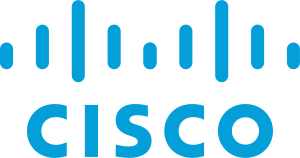 It is recommended that you first complete the Cisco 100-101 CCENT ICND1 training course, before beginning the Cisco 200-101 CCNA ICND2 training course.